Throughout the social, medical and other sciences the importance of understanding complex hierarchical data structures is well understood. Multilevel modelling is now the accepted statistical technique for handling such data and is widely available in computer software packages. A thorough understanding of these techniques is therefore important for all those working in these areas. 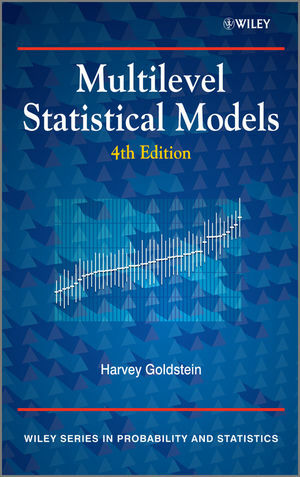 This new edition of Multilevel Statistical Models brings these techniques together, starting from basic ideas and illustrating how more complex models are derived. Bayesian methodology using MCMC has been extended along with new material on smoothing models, multivariate responses, missing data, latent normal transformations for discrete responses, structural equation modeling and survival models. Provides a clear introduction and a comprehensive account of multilevel models. New methodological developments and applications are explored. Written by a leading expert in the field of multilevel methodology. Illustrated throughout with real-life examples, explaining theoretical concepts. This book is suitable as a comprehensive text for postgraduate courses, as well as a general reference guide. Applied statisticians in the social sciences, economics, biological and medical disciplines will find this book beneficial. Harvey Goldstein, Professor of social sciences, University of Bristol and Associate Editor for the Statistical Modelling Journal, and previous Editor of the Royal Statistical Society's Journal, Series A. 1.10 Cross classifications and multiple membership structures. 2.7 The adequacy of Ordinary Least Squares estimates. Chapter 3. Three level models and more complex hierarchical structures. 3.2 A 3-level complex variation model example. 5.4 Modelling an autocorrelation structure at level 1. Appendix 12.1 IGLS Estimation for cross classified data. Appendix 13.1 MCMC estimation for multiple membership models. 14.3 A 2-level example with measurement error at both levels. Chapter 15. Smoothing models for multilevel data. 16.3 A two level model with responses of different types at both levels.